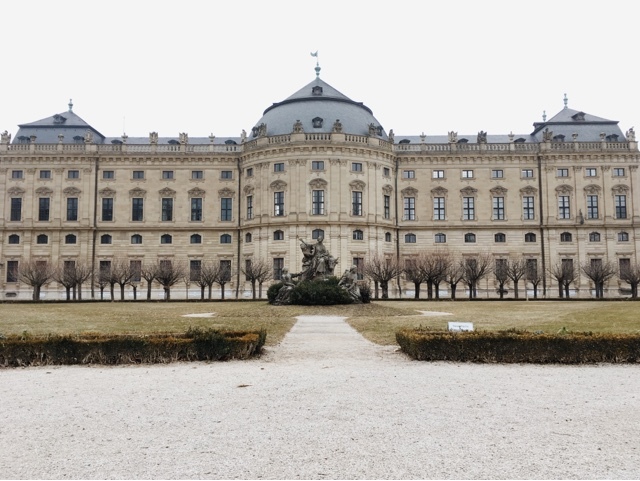 In keeping with my Year Abroad resolution to see at least one new place every two weeks, last week I was up early and off to the beautiful city of Würzburg. At only about an hour away from Nuremberg by regional train (Hello Bayern Ticket!) it makes the perfect day trip. 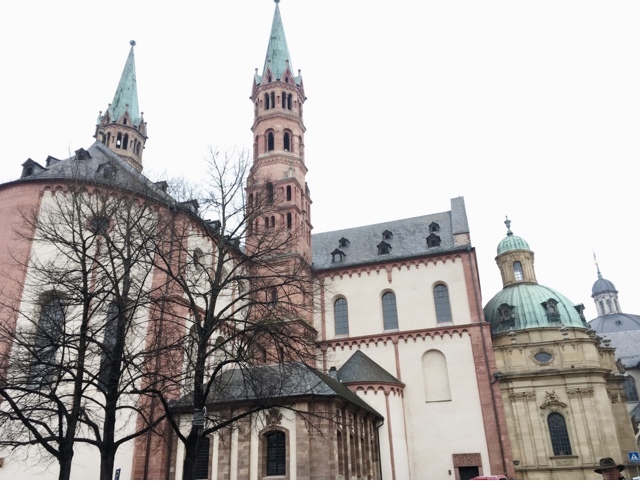 Although the weather was absolutely freezing and I definitely should I have worn more layers, I had one of the nicest day trips away since I have been in Germany. The city itself is based around the river Main, with most of the city is on the eastern side. 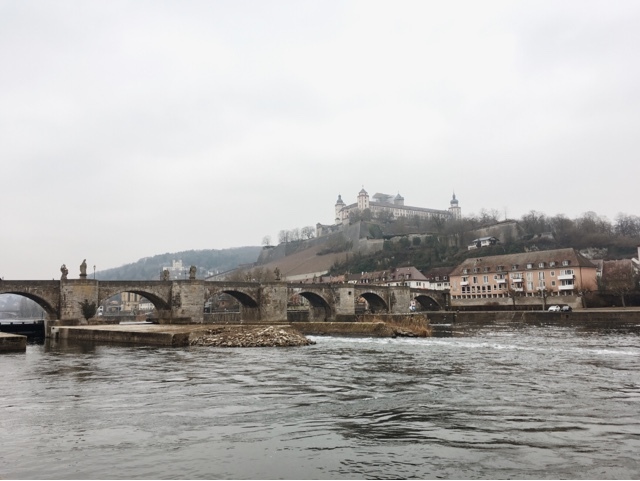 We began our day by walking across the river from the hbf up to the Marienberg fortress, which is so amazing on its own that it is going to feature in another Bavarian Beauty Spot post coming soon, so I won't say too much about it. After a pretty leisurely walk up the hill and a significant amount of photos taken, we concluded we needed something to warm us up desperately. 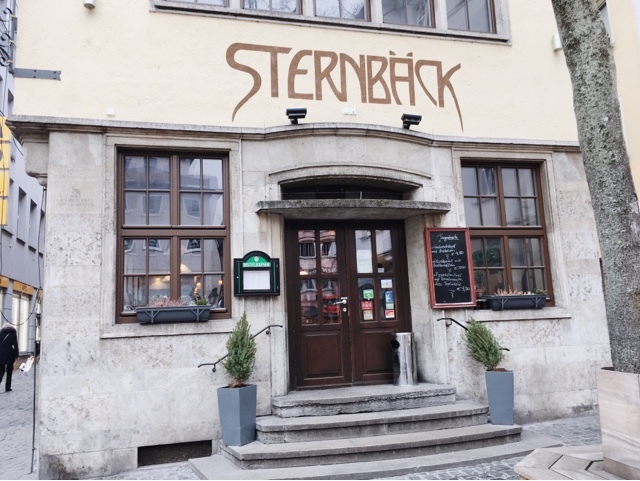 With neither mine nor Danielle's (my day trip buddy) phones having any internet signal, we wandered around the town centre till we found Sternbäck, a traditional Bavarian pub. With excellent service, we joined what seemed like half of Wurzburg's office workers on their lunch break. Both of us had the goulash, which was really lovely and it came with a really nice crusty roll. At only 4,50 it was a definite steal and well worth popping in to. We then had a little wander round some of the beautiful cathedrals and churches in the town centre. Each one was so different it is definitely worth popping your head into all of them. There is some absolutely beautiful architecture! One church in particular (although I can't remember which one how awful of me.. You'll just have to visit them all!) had large modern paintings contrasting with the beautiful ornate surroundings. It was actually quite bizarre and ever so slightly unnerving to see great modern works of art in a beautiful church. The Würzburg residence is probably the greatest draw to the city, as a UNESCO world heritage site built around 1720. Despite being almost absolutely destroyed in the war, the restoration was definitely a success and the residence is beautiful. I am not sure if tours are available in English as we did ours in German, but it is definitely worth going on a tour rather than just wandering yourself as most of the interesting points are rather hidden from view and some rooms are only accessible with a guide. The history of the residence is really interesting and there is a smaller exhibition on the restoration of the building after the war which is a lovely story in itself. After the bombing of the building by American troops, one soldier tried to save as many works of art and as much of the building as possible and dedicated himself post-war to the buildings restoration. The pictures at the bottom of this post are of the Residence although photographs don't really do it justice! 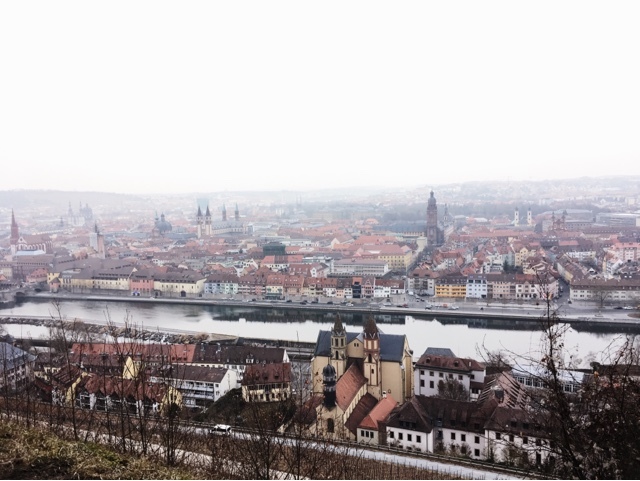 With a large student population, it seemed like Würzburg was a really bustling little city. The high streets had everything you would ever need as well as an abundance of history and culture. Definitely worth visiting if you are ever in Bavaria! 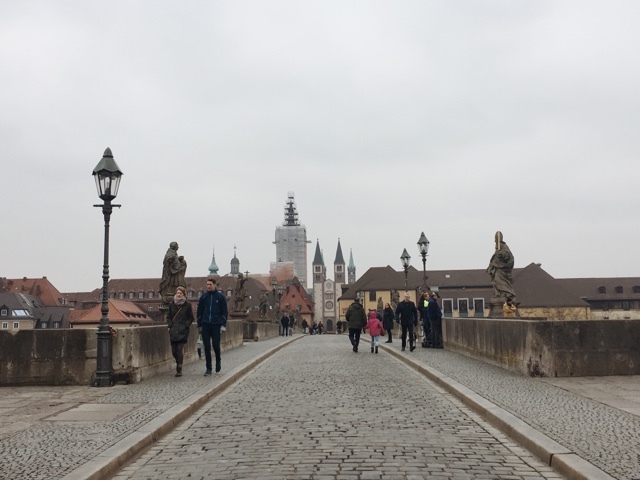 Have you ever been to Würzburg? Let me know in the comments! 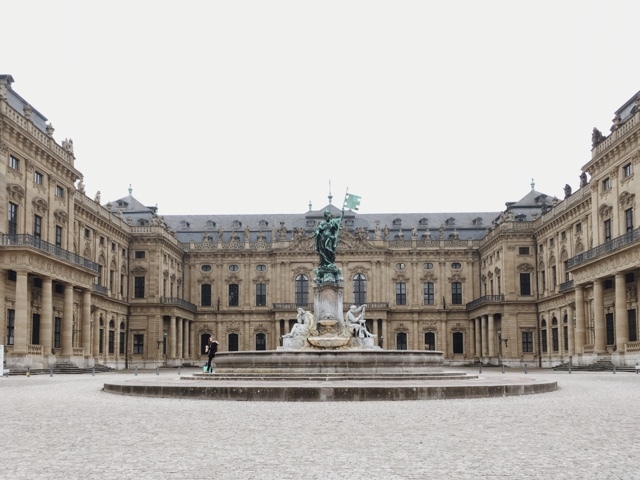 I've been to Würzburg, the Residence is one of the most amazing historic buildings I've ever seen. Never miss a post! 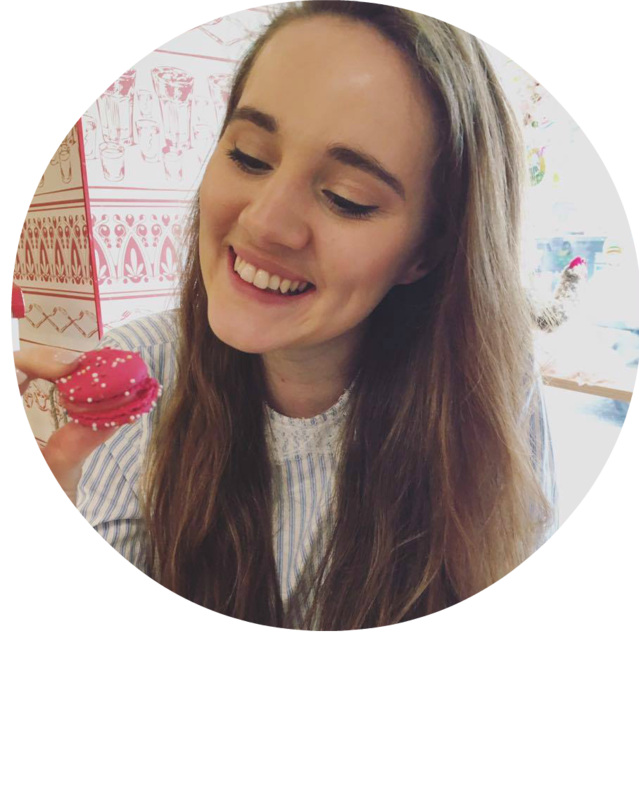 Get my new posts straight to your inbox! © Miss Zarabelle. All rights reserved.